I was provided with the following products in exchange for an honest review. 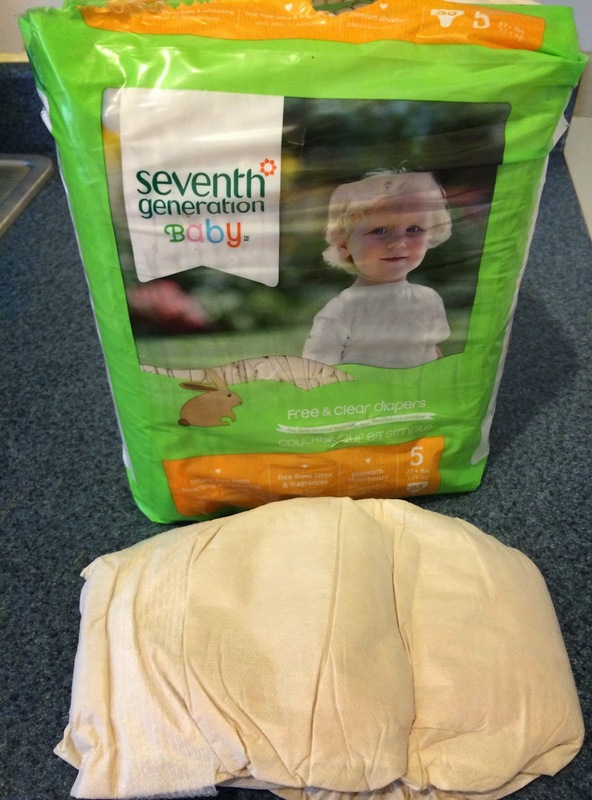 The Seventh Generation Free and Clear Diapers have premium absorbency and are sung and comfortable around baby's legs and waist. 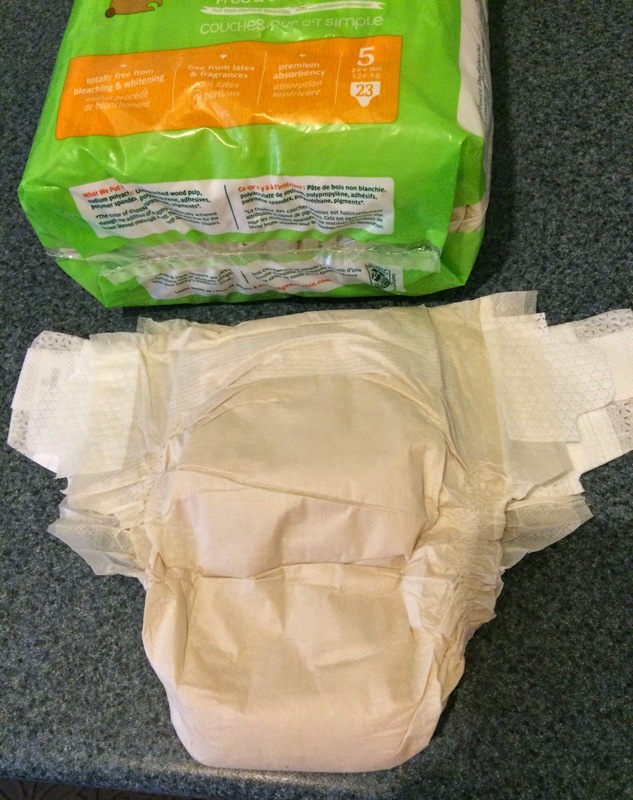 They have re-sealable tabs that are flexible to make the diaper super secure. The best part of the diapers are that they are chlorine-free and unbleached. They contain absolutely no fragrances, inks, petroleum-based lotions or chlorine processing. They are also hypoallergenic. Seventh Generation Diapers are now FSC® Certified in the United States. FSC® Standards are top notch and independent. They encourage a healthy forest grown and do not allow the harvest of rare old-growth forests. They also prohibit highly hazardous chemicals from use. When I first got the diapers out of the packaging I quickly thought that they were too small and wouldn't fit. I decided to try them on my daughter and were very pleased. They somehow seemed to really hug her legs and waist. The diapers are super soft and and it was nice to not to have any kind of fragrance. The tabs are super stretchy and adjustable so it makes it easy to make the diapers nice and snug. It takes a little getting used to when you see the unbleached color of the diaper with no designs. 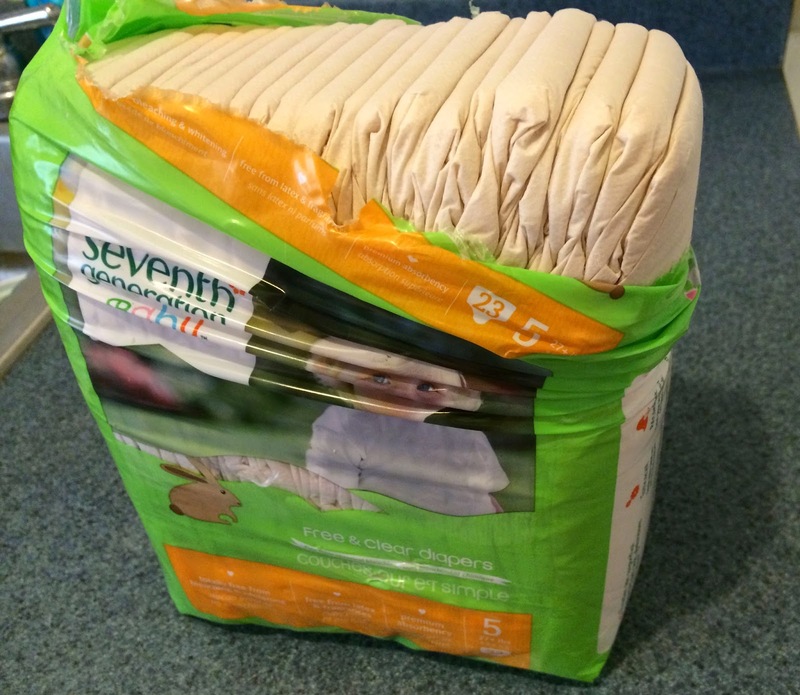 I also noticed that it didn't hold as much as other diapers so I had a few leakage problems. They are also a bit more expensive than the other name brands. However it does gives me piece of mind that they are free and clear and free from unnecessary chemicals, fragrances and dyes. The wipes are whitened without chlorine, and work gently with plant-derived ingredients. They are also Hypoallergenic with a soft & gentle formula. The baby wipes are free of chlorine processing are made without dyes, alcohol or fragrance. I like that it is toxin free. Will pass the info on to my niece. I like how this is toxin free as well. I am not in the market for diapers, but I will pass the info along! Good to know.. i do not have any friends who are having babies, but when i do i know what to recommend..
Nice, if I have another baby I'll definitely try them. One thing I always wish it existed is degradable diaper. Kind of like the degradable cutlery, after disposal it all de-compost. I hope one day it happens. 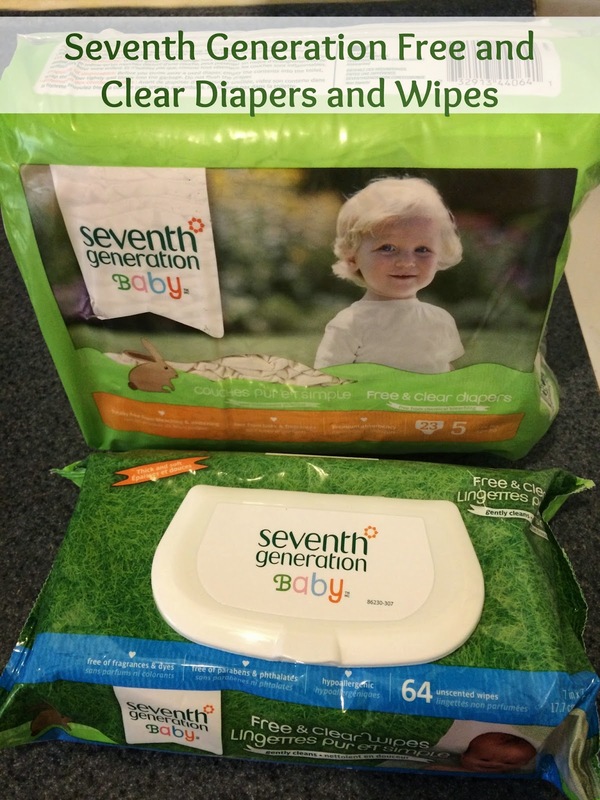 I love Seventh Generation - they make the best products. I don't have children but if I did you can bet I'd be using these. I've never tried them. Wish they were around when my kids were in diapers! I love the environmental friendly aspect. The less chemicals we have around kids the better. I have heard of them but never used them. I'm a sucker for cute and/or cheap. I Love These Diapers They Worked Great On My Kids! They made sure that the diaper would be perfect for a baby's sensitive skin. I love how good these are...not only for your baby but to the environment as well! I do like Seventh Generation's products. They are a great company! These are great for babies of parents who want to be more eco-friendly. I haven't used the diapers but I do like the wipes! My kids are long past the diaper stage but I will share with my sister. I love that they are good for the environment. Thank you for sharing. These a terrific! The other ones are so bad for the planet. If we could only get all moms to use them! hehe I don't have kids but I do have friends who have them, so I guess I'm preparing myself with all the informations :)) btw cute blog! 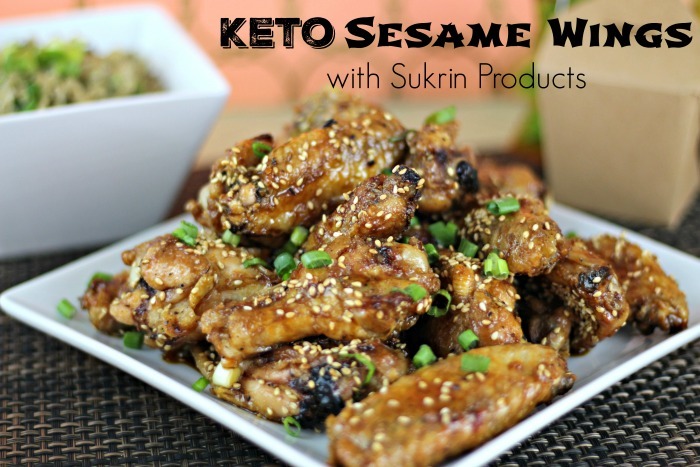 I have never tried these. I have two in diapers now. I like the fact they are toxin free. I love that new moms now are trying to take care of the earth as well as taking care of their sweet little ones. It is amazing how much the diapers have progressed since I had my babies! 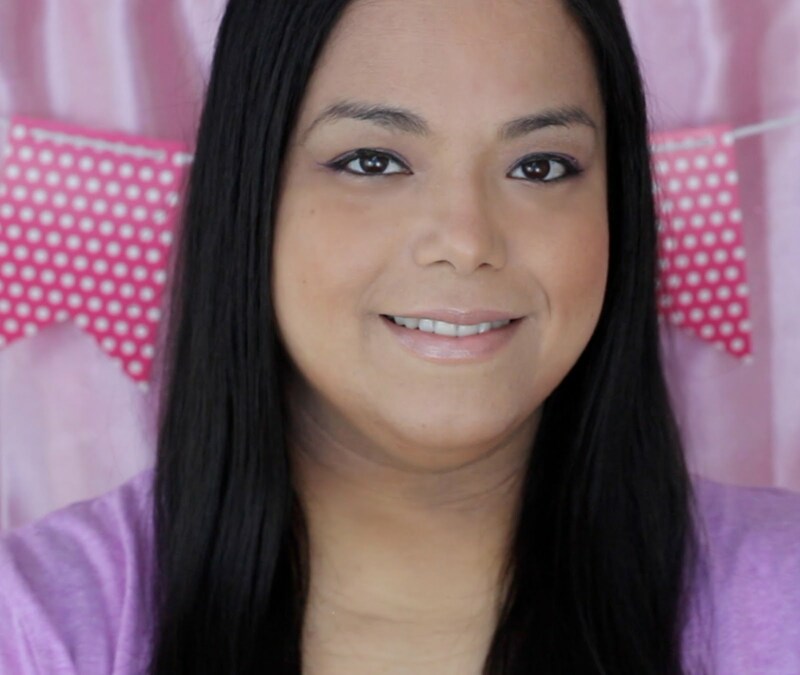 My daughter is having a baby and I have been looking for eco friendly baby products. Will check these out for sure. I can't use the diapers but there is always a need for baby wipes. I love that there are no dyes in these diapers. They look soft. 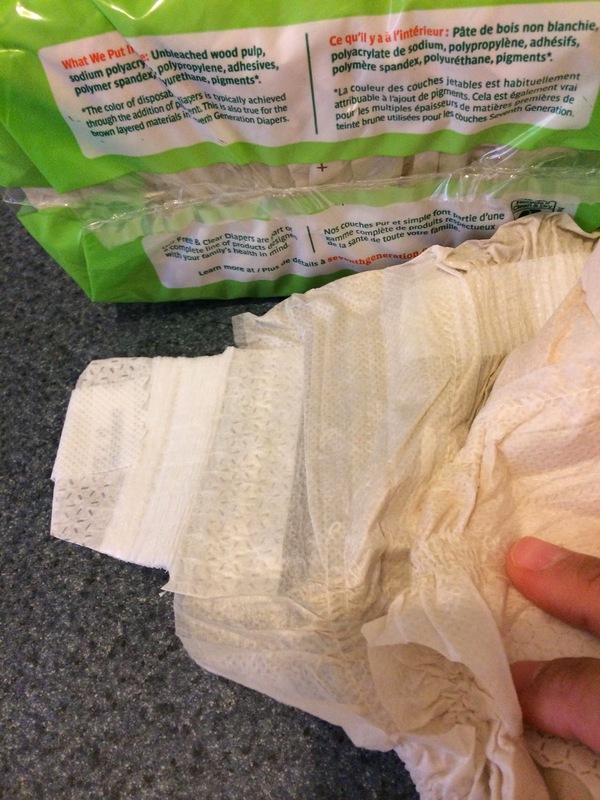 This is great they came up with these disposable diapers like this and wipes. The diapers are getting so much better all the time! I just wish they were more recyclable. These would be good for kids that are close to starting potty training so that you can avoid leakage. I love that the are free and clear of chemicals! I've heard great things about this diaper..I love this because this is the eco friendly kind.